If you know a little one that loves baking, fun cake moulds like these lego-themed ones will go down a treat! 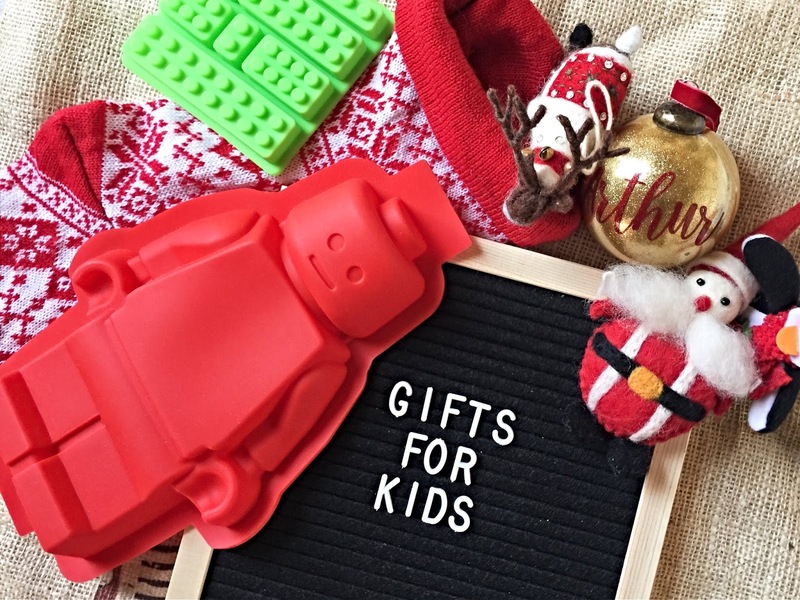 I bought the Lego Man Cake Mould on eBay for just £5.99 and the Mini Lego Bricks baking moulds (which could be used for sugar paste, fondant icing, chocolate or fudge) for £2.99 on Amazon. 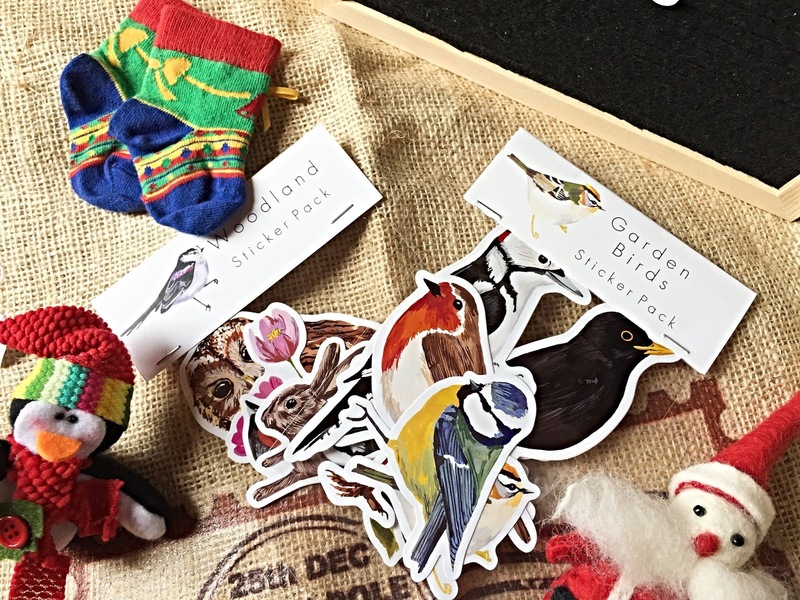 For children that love animals, birds and crafting, these beautiful woodland and garden bird vinyl stickers from Particle Press* (£5.50 per pack) will make such a lovely stocking filler. The detailed designs are so pretty and Arthur's little face lit up when I showed them to him. They can be stuck on anything you like and are easy to unstick and re-stick if you wish to move them. If you are after a pre-Christmas gift or something to finish off your child's Christmas Eve box (if that's something you do) then why not pick up one of these beautiful personalised baubles from the Handmade Christmas Co.* The personalised baubles are available in a number of different designs and cost £15.00. 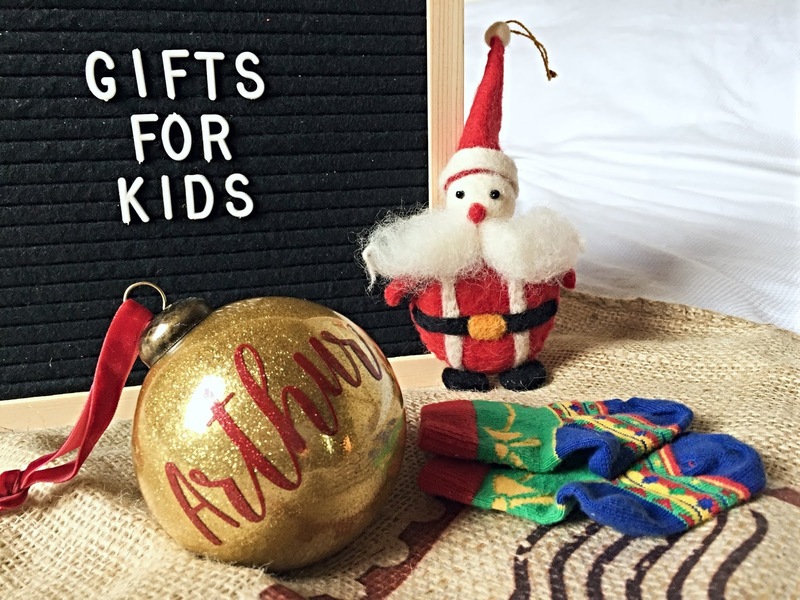 Your bauble will arrive in a cardboard presentation box and is sure to be something your little one treasures for many Christmas Days to come. Make bath time a little more exciting for children with this fantastic bath foam by Crazy Soap (£2.00)! The bath foam, which is available in blue, pink and white, can be moulded into whatever your child wishes. Let their imaginations run wild and encourage sensory play at bath time. The soap has a gentle formula and simply melts into the bath water once playtime is over. 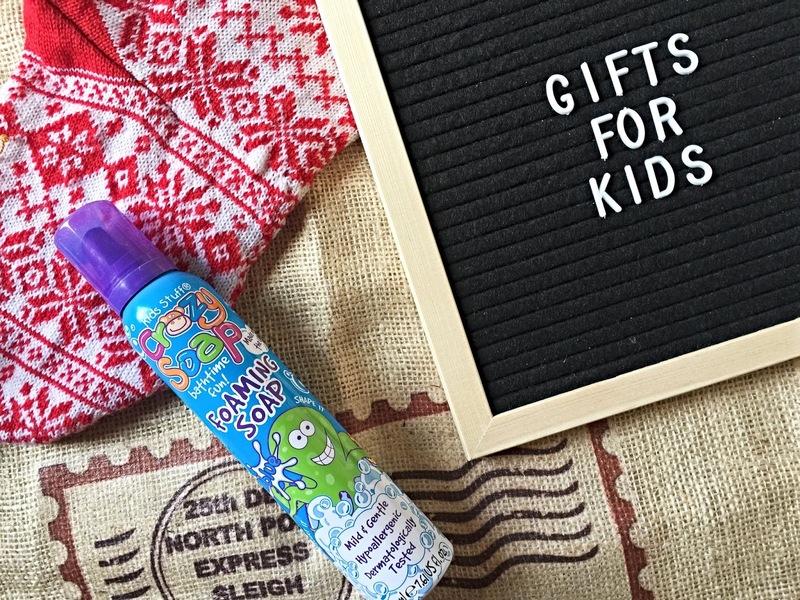 Books will always make fantastic stocking filler gifts for children but if you're looking for one with an extra special touch, why not pick up a personalised story from the likes of Wonderbly and Penwizard? Wonderbly has a range of beautifully illustrated stories, each of which can be tailored to your child in some way and are targeted at children age 0-4 and 4-8. One of Arthur's favourites is 'A Letter for the Littlest Bear', (£19.99) which I bought him last Christmas. The story is not only customised with Arthur's name but those of his family members and even features a personalised letter at the end. Penwizard also has a fantastic range of personalised books for children*. 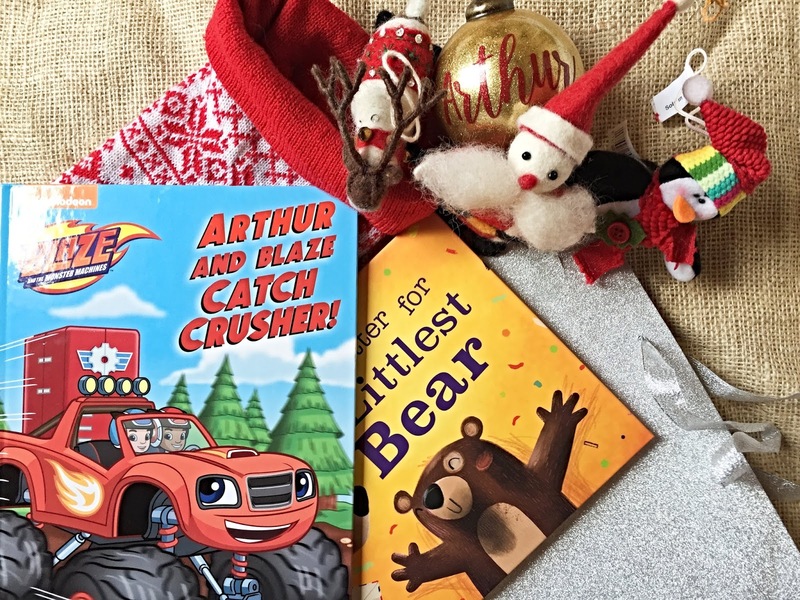 If your child enjoys watching shows such as Paw Patrol and Blaze and the Monster Machines on Nickleodeon, then they're bound to love these books, which insert them right into the heart of their favourite stories. 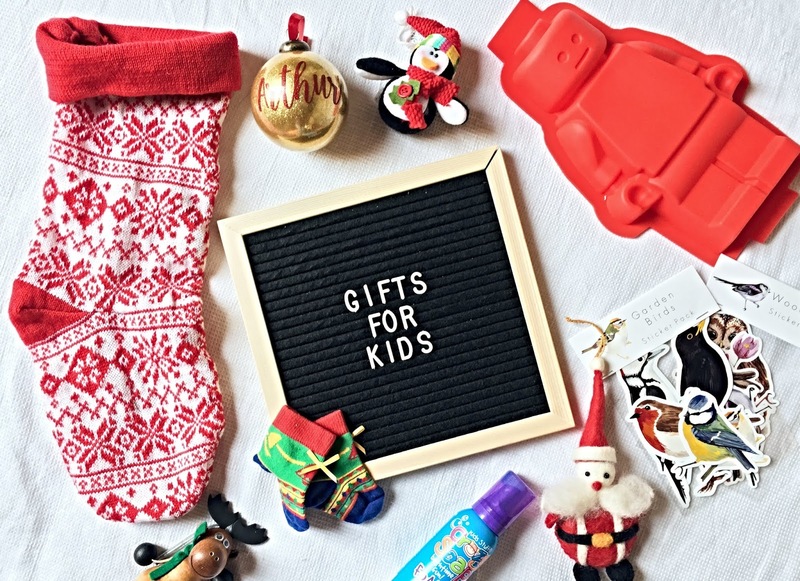 I hope you've found my stocking filler gift guide for kids useful and that it's given you a little inspiration, if you are looking for something a little different to toys. Feel free to share any other ideas of a similar nature that you have in the comment section. Thanks to your post on IG I'm adding the crazy foam to little Eco's list of things to get. This will go down a storm but think I'll struggle to coax him out of the bathtub.